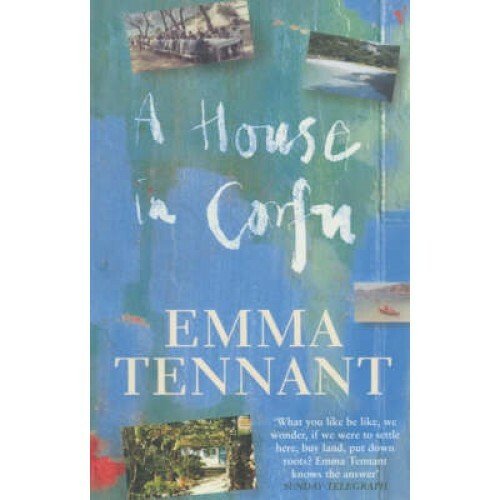 A House in Corfu is the story of one of the most beautiful places on earth, still astonishingly unspoilt, on the west coast of Corfu. In the early 1960s, Emma Tennant's parents, on a cruise, spotted a magical bay and decided to build a house there. This book is the story of that house, Rovinia, set in 42 hectares of land above the bay where legend has it Ulysses was shipwrecked and found by Nausicaa, daughter of King Alcinous. It is also the story of the people who have been at Rovinia since the feast in the grove at the time of putting on the roof - Maria, a miraculous cook and the presiding spirit of the house, and her husband Thodoros - and of the inhabitants of the local village, high on the hill above the bay. Full of colour and contrast, A House in Corfu shows the huge changes in island life since the time of the building of the house, and celebrates, equally, the joy of belonging to a timeless world; the world of vine, olive and sea.